CD Release Party May 8! 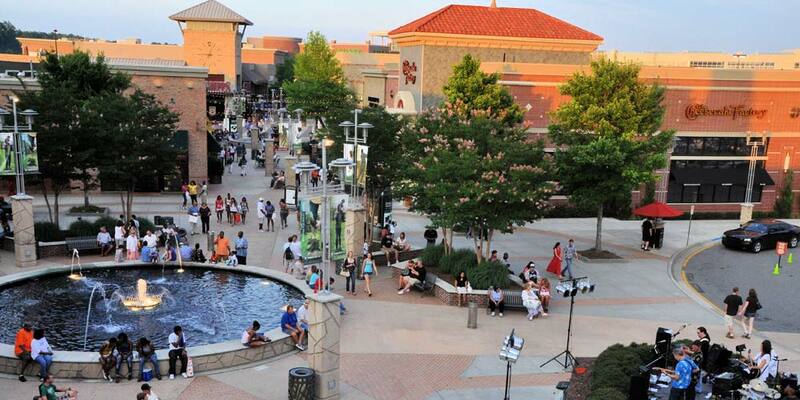 We are beyond excited about having our album, “Durham on Saturday Night,” ready for you to listen to and enjoy! We hope that you will join us at G2B Gastro Pub on Wednesday, May 8, 2013 for our CD release party from 8:00 p.m. to 11:00 p.m. – we’ll be playing a mix of tracks from the CD and classic swing music, and the band will take the stage at 9:30 p.m. for an hour-long set. If you’d like to eat dinner, they are recommending that you make a reservation; if you’d just like to snack, drink, or hang out, come as you are! We’ll have plenty of CDs on hand for sale and we’ll also have our Kickstarter rewards available if you designated local pickup. If you can’t make it to the CD release party, never fear! We should have the album available on iTunes and CD Baby for digital download by May 8 and will have distribution of physical copies of the CD through CD Baby sometime in the near future. You will also be able to pick up the CD at any of our upcoming shows. For our Kickstarter supporters who are out of town and opted for mailing your rewards, we will begin shipping the CD as soon as we have it in hand, but it may take a few weeks to get all the rewards where they need to go. Thanks again to all of our supporters, Kickstarter backers, Jamie Wolcott for her amazing cover art, Jason Richmond for both the recording and the mastering, and our maestro Lucian Cobb for the mix. We hope you love it! The kids from Sesame Street making a paper sculpture in the video. We are so excited to have been involved in this project with Sesame Street – here is the segment of the show where we provided the background music. The word of the day is “scuplture.” 🙂 Click on the link below to watch! Our next big milestone is Sesame Street – tune in to Sesame Street on April 18 to hear an original tune by the Mint Julep Jazz Band! If you are in Durham, NC, Sesame Street airs at 10:00 a.m. on PBS. For more information about how we snagged this great opportunity, check out our previous post on Sesame Street. We’ve got Mint Julep Quintet gigs back to back, coming right up! On March 22, 2013, we’ll be making our monthly appearance at the stellar G2B Gastro Pub! Admission is free, but we recommend making a reservation if you would like to eat or have a seat – please specify that you would like to be seated in the jazz lounge. 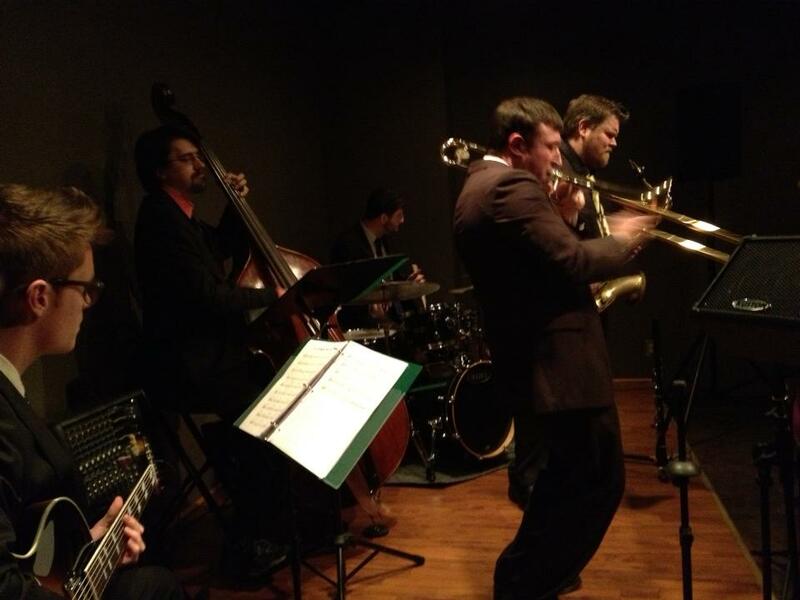 We’ve rescheduled for March 23 after getting snowed out last time – the Mint Julep Quintet is ready to take on Durham’s venerable jazz venue, Beyu Caffe! Join us for a night of swing, cocktails, and delicious food…and maybe a little dancing. Purchase tickets for the Beyu Caffe performance here. Band plays 9:00 p.m. to 12:00 a.m. 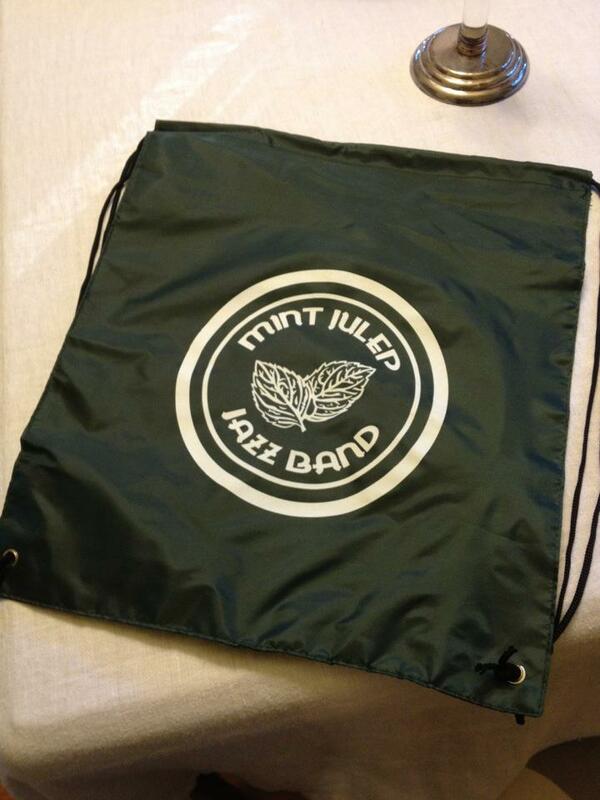 The Mint Julep Jazz Band Kickstarter Goes Live November 2! On November 2, 2012 we are launching a Kickstarter campaign to crowd fund our first CD, titled “Durham on Saturday Night.” We are asking for pledges toward our $6,000 funding goal and, in exchange, you can get different fabulous rewards based on the amount of your pledge/contribution – some of the rewards include digital and physical copies of the CD, handkerchiefs with the band logo, drawstring backpacks/dance shoe bags with the band logo, a limited edition poster, cupcakes baked for you by vocalist Laura Windley, and hanging out in the studio with us as we record the CD! 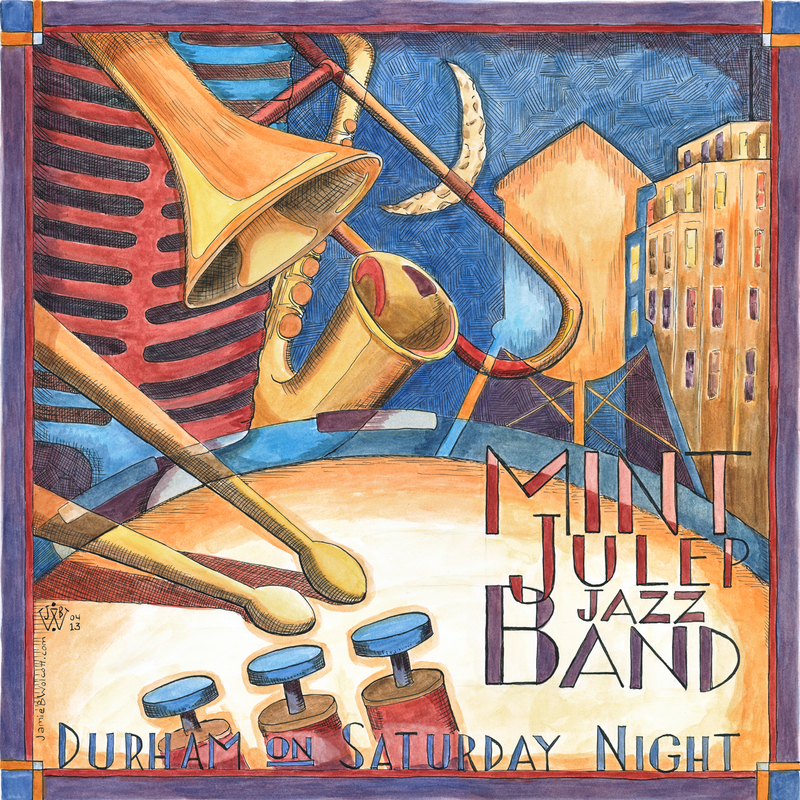 “The Mint Julep Jazz Band, Durham NC’s swing, hot jazz, and little big band outfit is putting together their first CD! 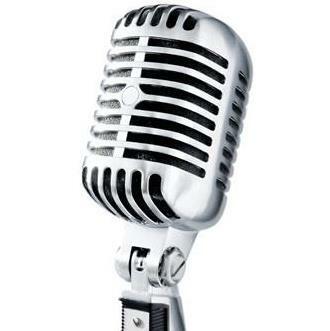 We are excited to finally be getting into a recording studio with this group of jazz musicians to work a little magic and have something that you can take home with you after the show or the dance! One of our Kickstarter rewards is a logo drawstring bookbag, which conveniently doubles as a shoe bag for dancers. Why Kickstarter? Think of it as pre-sales – you are essentially ordering this album in advance, with the understanding that the new Mint Julep Jazz Band recordings will be more polished than the recordings we’ve taken with Laura’s iPhone and will have the energy we have at our shows. We’re going to bottle that up for you and give it to you, you just have to buy the bottle first. We guarantee it will keep your toes tapping and swing hard enough to get you out of your seat! What do we need all this money for? It takes a lot of money to make a CD and the money is divided amongst recording, mixing, mastering, graphic design, duplication, licensing fees, and probably some unanticipated expenses that we will encounter. It is a big undertaking for any band and we hope that you will consider contributing to our Kickstarter campaign in exchange for some of the fabulous rewards we have for you, plus our undying love and loyalty. The official go live date is November 2, which we chose because we will be performing that night at the Eastern Balboa Championships, the southeast’s largest and only Balboa event. We are excited about performing for such a large audience from all over the United States and about the possibility of being able to offer a CD for sale, even if it is pre-orders! If we are do not reach our Kickstarter goal of $6,000, the CD project will not be funded. You are only charged if the Kickstarter is fully funded. We hope you will consider pre-ordering the CD through our Kickstarter campaign to ensure that we have a CD to share with you!